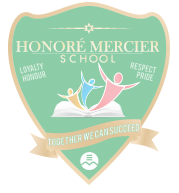 The Honoré Mercier Home and School Association is a parent organization designed to function like a PTA without National guidelines, but rather with a Home and School Association Constitution. We promote the welfare of our children and try to bring a close relationship between the home and the school. In the past, Home and School Fundraising has provided and helped support such things as book fairs, purchasing of library books and book shelves, new school equipment, teacher appreciation activities, music equipment, end of year activities and much more. Your support is extremely important so that our Home and School Association can continue to function and have the right to fund raise for the children. Automatic membership to the Quebec Federation of Home & School Associations (QFHSA), which is a parent body of all local associations working under the umbrella of the Canadian Home & School Federation. On the forefront of all fundraising campaigns designed specifically for our school and your children. Voting autonomy to raise and spend money on projects that we, as parents see fit. A forum for discussion between your home and our school.